Your opinion matters. 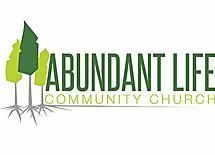 Leave A Review Or Edit This Listing for Abundant Life Community Church - Oasis Food Pantry. Oasis food pantry was started 8 years ago so anyone can have access to food The food pantry gets donations from Sprouts Farmer's market and Food Bank of the Rockies. Unlike other food banks, we do not require identification card and verification of address in order to obtain food. It is open to all. For more information, please call. We always need more information on our pantries. If you know of any details, volunteer information, website, hours or more description information about Abundant Life Community Church - Oasis Food Pantry please add a comment (below the map on this page), with information. We will then display this for all visitors on this page.